House of Assembly, Timothy Owoeye, stark n*ked allegedly taking a ritual bath. The lawmaker said he was blackmailed. “He was taken to around Osunjela, where he was made to undress. 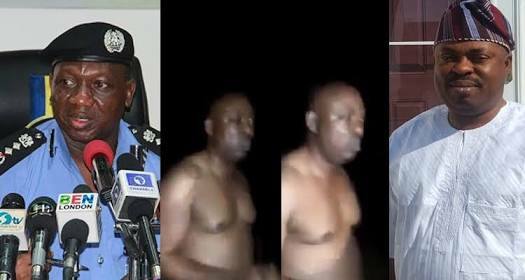 Unknown to him, they had positioned some people who took video recording of his n*kedness and assaulted him. But we thank God that he summoned the courage to report the case to the police. “The fraudsters were arrested and they made confessional statements; we recovered the money they collected from him. Our position is that they will not go unpunished. They were charged to court and remanded in custody."